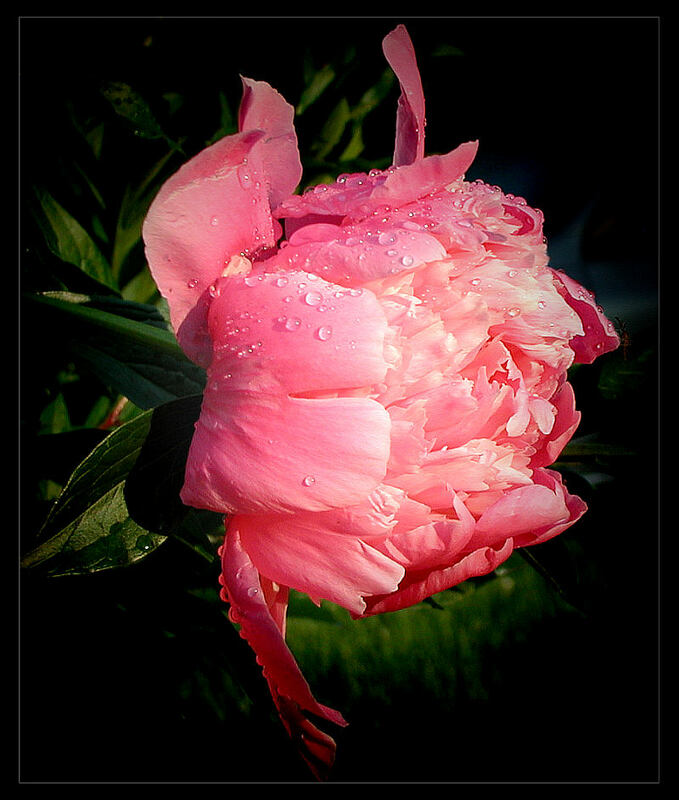 A Peony in the early morning sunlight. Best seen with 1024x768 resolution ; use your F11 key in Internet Explorer to view in full screen mode. I chose to show this image in a large size so you can see the tiny mosquito on the right edge of the flower taking a drink of morning dew. I debated turning the photo sideways, but then the sunlight angle would have been wrong and the water drops would have been hanging the wrong way. So I decided to keep the original orientation. And I liked the effect of the bigger water drops! And wow wow wow i like it, but i think I rotate it !! !